This photo above was taken while I was focusing on connecting with my Spirit guide, Ping Pong. Look at that big loving, pink orb! 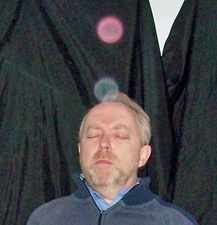 This photo (right) is an apport that was presented by spirit through the mediumship of Kai Muegge. An apport is something that Spirit manifest from non-physical into physical form. Here on the right is a photo taken one evening looking out over a valley and mountains in Tuscany, where I was running a week's workshop retreat. 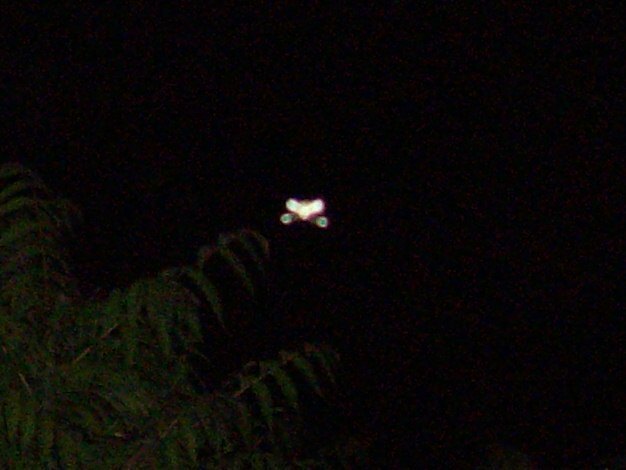 We had been trying to catch photos of orbs and had found a few, but I found this the next morning when I checked the photos on my laptop screen. It looks like it's suspended off the tip of a conifer tree, but what do you make of it?